Sub-Zero specializes in upscale home appliances, including refrigerators. If something goes wrong with your Sub-Zero refrigerator, the company recommends that you try to fix the problem yourself before calling a technician. This saves you both time and money. If you must call a service technician, Sub-Zero recommends that you only call certified Sub-Zero technicians to perform the work. If your unit won't come on, make sure that it is plugged in and that your power is on. Next, make sure that you have not tripped a circuit breaker or blown a fuse. Replace any blown fuses, and reset your circuit breaker. If your refrigerator is too warm, ensure that the door is properly closed, and reduce how often you open it. Leaving the refrigerator open too long also causes frost to build up. Next, clean the condenser area of any debris or dust. Your refrigerator will also not run if it's in the defrost mode. Leave the refrigerator alone for about 30 minutes, and then try to restart it. If you see a flashing "Service" light on your Control Center panel, check your condenser and clean out any debris. Next, run a test on your temperature sensor by hitting the "Unit On/Off" button, and then hit the button again to restart the refrigerator. If the "Service" light is still flashing, your temperature sensor may be bad. You must call for service. If you see both the "Service" and "Ice" lights flashing, check for excess water, and call for service if you see water. If not, try turning the unit on and off. It is normal to hear gear or fan noises. Condensation is also normal if you open the door often and during the summer. If you are not receiving any ice, make sure that the ice maker is turned on and that the ice bucket is in the correct position. Next, ensure that your water supply is connected and turned on. Your refrigerator will run for long periods of time if you have a lot of food in it. If not, make sure that the doors are closed tightly and that the condenser is clean. If the outside of your freezer is warm, check your condenser, and clean if necessary. Odors commonly come from food. Clean your unit, and cover up any foods. If frost builds up, and the door is completely closed, call a service technician. Your refrigerator door or sealing may not be adjusted correctly. 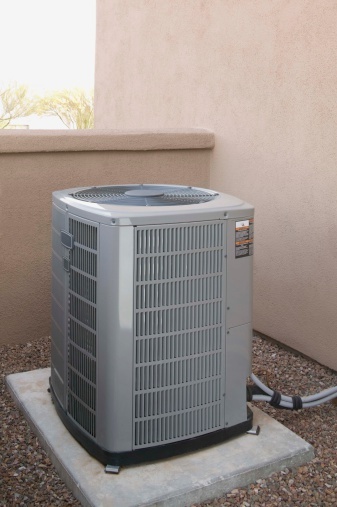 A refrigerator unit will run warm without adequate airflow. Check your airflow vents, and remove any blockages.